Is Edmond Heatley’s Departure From Clayton County Coming Soon? We Hear That It Is. Alert: It’s Now Seems to be Official: Heatley Does Resign! You Got the Word Here First, Didn’t You? We Try to Keep You Informed! | Georgia Teachers Speak Out! 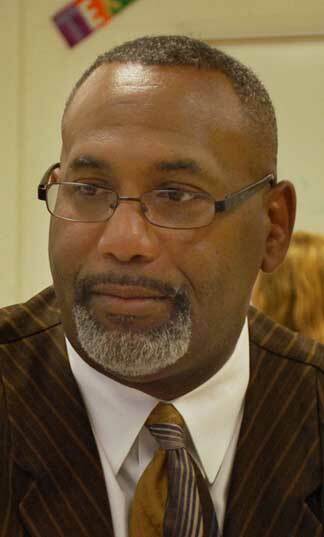 ← Superintendent Jerry Bell of Hart County Could Not Get A Majority Vote When The Hart County Board Of Education Deadlocked 2 to 2 In Its Decision On The Tressa Blackwell Case. Therefore, As A Matter Of Law, The Teacher Still Has A Job. Will The Law Firm Of Harben, Hartley And Hawkins Inform Mr. Bell Of This Reality Or Will The Law Firm Just Do A Little Legal Pimpin’ To Keep Its Gravy Train Job? Is Edmond Heatley’s Departure From Clayton County Coming Soon? We Hear That It Is. Alert: It’s Now Seems to be Official: Heatley Does Resign! You Got the Word Here First, Didn’t You? We Try to Keep You Informed! NOTE: Since our early reporting of Edmond Heatley’s impending resignation, it is now official. The Dark Days of the Onerous & Burdensome Reign of Edmond Heatley in Clayton County are over! We presume that the school board woke up and smelled the coffee — or perhaps Heatley and the school board read the tea leaves of the last election and knew that change was on the way! Whatever happened, we are glad Heatley is on the way out of the Clayco Door. It could have happened sooner, had it not been for the those on the school board — Alieka Anderson, Pam Adamson, Mary Baker, Ophelia Burroughs, and a couple of others — who kept clinging to the illusion that Heatley was a decent superintendent. Heatley was horrible! Thanks, Jessie Goree, Trinia Garrett, and Michael King for standing up to the educational monster! Wherever Heatley ends up (and you know that these Gypsy Superintendents are just re-cycled! ), we hope that he takes HR Director Douglas (Doug) Hendrix with him! Then Board Chairperson Alieka Anderson and Now Chairperson Pam Adamson Were Leading the Charge to Hire Heatley, Upon the Recommendation of Education Attorney Glenn Brock. Will They Listen to Any More Lame Recommendations from Glenn Brock? GeorgiaTeachersSpeakOut.Com just received word from a very reliable source that embattled Clayton County superintendent, Edmond Heatley, may be stepping down as the head of the Clayton County Public Schools within one month. No details about this possible forthcoming event are available now. GTSO speculated about a month ago that something was apparently up in the air. Heatley tried to get Michael Hinojosa’s old job in Dallas, Texas but was not invited back for a second interview. (Hinojosa is now Cobb County’s superintendent.) Shortly after his effort to get on in Dallas, Heatley seemed to disappear from the scene, and GTSO kept asking the question, “Where is Heatley?” Even Clayton County Board of Education members were asking this question. Then, lo and behold, he showed up at the next board meeting, and we let you know this. Edmond Heatley Has Used Brusque Tactics In Clayco. Heatley came from Chino Valley, California where he apparently had pissed off many of the locals with some of his decisions, particularly closing schools. His leadership style in Chino Valley was not unlike the style displayed here in Clayton County…brusque, rude, top-down, and condescending. MACE Warned the Clayton Board of Education Not to Hire Heatley. No one has opposed Edmond Heatley like the Metro Association of Classroom Educators (MACE). 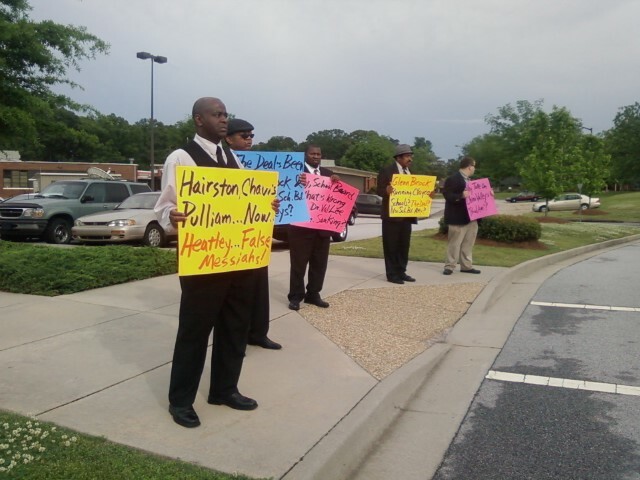 MACE was on the scene picketing in April of 2009, warning the Clayton County Board of Education not to hire Heatley. The board, upon the recommendation of education attorney Glenn Brock, hired him anyway. Heatley has been controversial in Clayton County from the word “Go.” In fact, I have reported that of the dozen or so superintendents whom I have observed closely in Clayton County over the past 30 years, Edmond Heatley by far has been the most despised among the employees. © GTSO, August 29, 2012. 1 Response to Is Edmond Heatley’s Departure From Clayton County Coming Soon? We Hear That It Is. Alert: It’s Now Seems to be Official: Heatley Does Resign! You Got the Word Here First, Didn’t You? We Try to Keep You Informed!